In case you were wondering how living sugar-free could taste so good, I have provided proof in the form of the best cookie on earth. The recipe has been in the family for a long time, but I have switched one of the ingredients: sugar. Use date sugar instead of white refined sugar, it is worth the money. Date sugar is delicious to bake with because there is virtually no difference in taste and quality of the baked goodie. However, it does not melt well which makes it a poor substitute for drinks and items that will not go through a heating process. Mix until they are ready to roll into balls (do NOT roll in sugar of any kind) and place evenly on greased cookie sheet. Bake at 375 degrees for 6-8 minutes until they are cracked on top. I always like to take them out early so they are especially soft and chewy. Every oven is different, so check often and enjoy! Thanks for stopping by my blog. I have used date sugar before. I eat dates every day. I have found that subsituting natural sugars for the processed sugar in more than small quanitities has the same effect on my body-especially cooked versions. Not so much eating raw fruit...no matter how I try I can't get away from the fact MY body responds best to less cooked and mostly raw. But I always love these recipes for those moments...better to eat stuff like this than your average run of the mill boxed dessert! May God bless you on your journey. Very interesting about the date sugar. 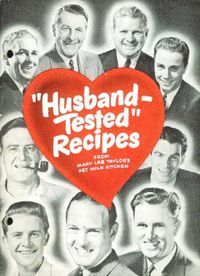 Love the "husband tested recipe" logo! The gingersnap cookie recipe looks good. I'll give it a try! I too love the 'husband tasted' seal. I am excited to try these, they look great. I make a lot of recipes and my husband always says, why can't you just make them the right way! Haha, Im always looking for a treat that I can trick him with. Excited to try these! Oh these were fabulous! They are just a tad dry but the taste is wonderful! My husband was shocked at how good they were for being healthy :) Yeah! Coca-Cola's New Stevia Product: "Truvia"